Do you want to keep your loved ones safe? Clear your doubts before you get your screwdriver for garage door repair. We can answer your questions. If you think you have a problem with your garage door set up, chances are some other person has already experienced that same thing. We surely help you out! Check out our FAQ page and read up on what other people have asked our very knowledgeable technicians in the past. Are there openers that detect CO? Contemporary openers may come out with special sensors, which can detect carbon monoxide or even smoke when it exceeds the permitted levels in the oxygen. Once high levels are detected, the sensors activate the opener immediately and the door opens to clear the atmosphere. Why doesn't the opener work? Sometimes, the problem may be concentrated on simple matters as disconnected wires. You should also check if the power is out. Garage Door Repair Crandall says that there might also be a problem with the garage door motors, so you will need to check the entire unit. What clicker should I get? There are several types of garage door clickers and they also differ in sizes. You can get remote controls, which fit into your car or tiny ones to put in the keychain. If you have multiple openers, you should choose a multicode remote since it can also operate the gate opener apart from the garage door opener. In any case, make sure the new clicker is compatible with the current opener and works with the rolling code system. How much can the garage door springs take before breaking down? Garage door repair Crandall experts have determined that the springs of a garage door, regardless of the type, will take an average of 10,000 cycles before giving in. A cycle is one instance where the door opens and closes. How do I replace a broken garage door cable? It is best if you leave this job to our specialists in garage door repair Crandall. This is because cables are under great tension and even the slightest mistake can cause an accident and a serious injury. Generally, the cable has to be replaced with a super strong one which has the same diameter and length. Why tracks must be kept clean? Anything standing in the way of garage door rollers will make their movement difficult or even impossible. 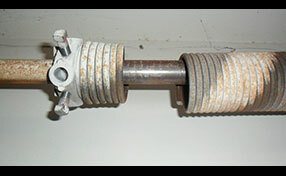 Elements or debris in the garage door tracks won't only keep rollers from moving but they can also damage the tracks. Dents will be harder to fix. Why do the cables get off the drum? The cables might come off the drum if they are not in good condition or adjacent parts are damaged. They might come off if the drum is not properly fastened or if it's ruined. The cable must be properly installed and wrapped well around the drum. How come I cannot close the garage door with the remote? If you can open the door with the clicker, but cannot close it with this device, then the problem has to do with safety sensors. You should clean the photo eyes and align the sensors properly. 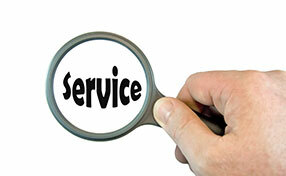 If the problem persists, the devices must be repaired or replaced timely.